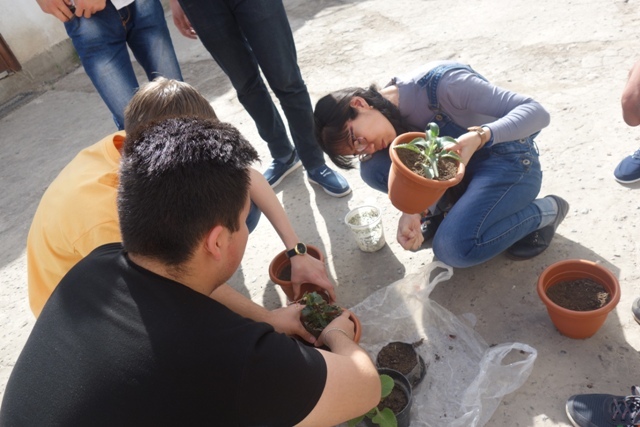 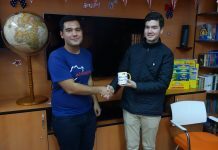 FLEX Alumni in Turkmenistan organized a country-wide project to celebrate Global Youth Service Day (GYSD) and Earth Day. 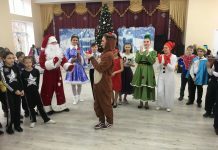 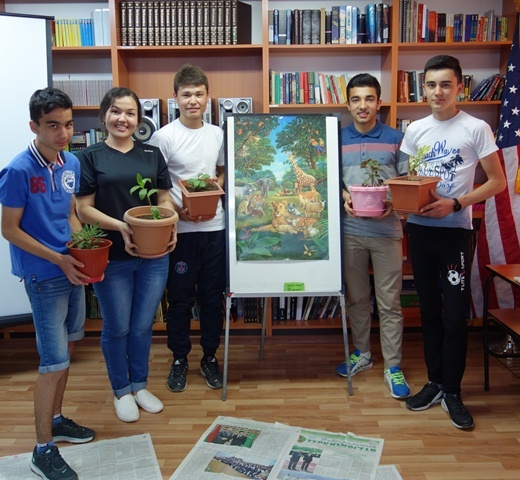 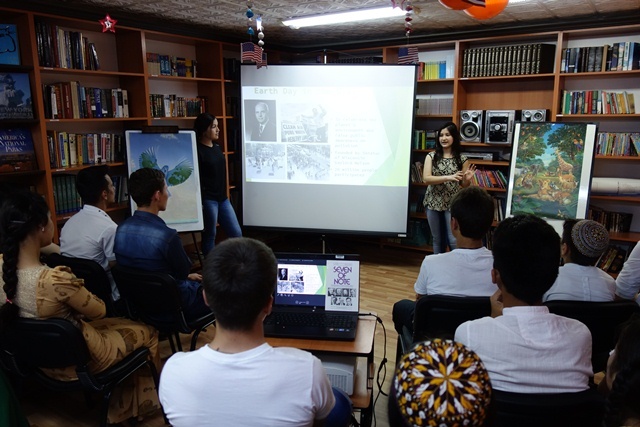 Working with 130 children, students, and adults at the American Corners in Dashoguz, Mary, and Turkmenabat and the Ashgabat Information Resource Center, alumni organized events aimed at raising awareness about current environmental problems and discussing ways to preserve the environment on an individual level. 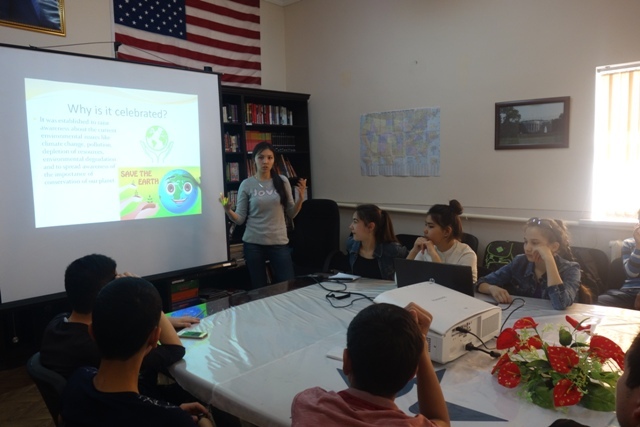 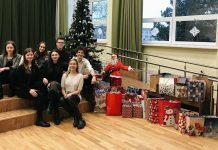 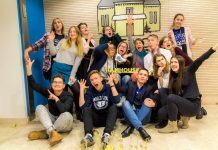 Alumni presented on pollution, climate change, and resources depletion, and introduced the idea of the 3Rs – Recycle, Reuse and Reduce – during informative presentations they titled, Save the Planet. 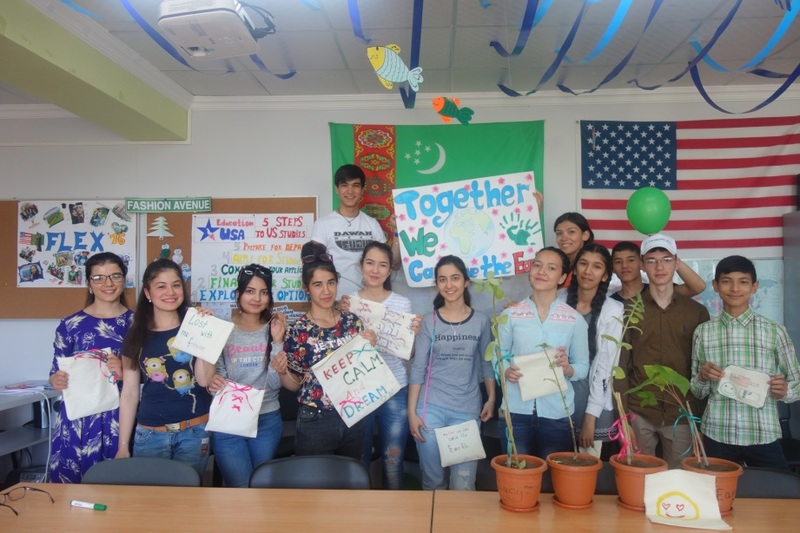 Many alumni from Turkmenistan completed over 100 hours of community service in their U.S. communities on FLEX. 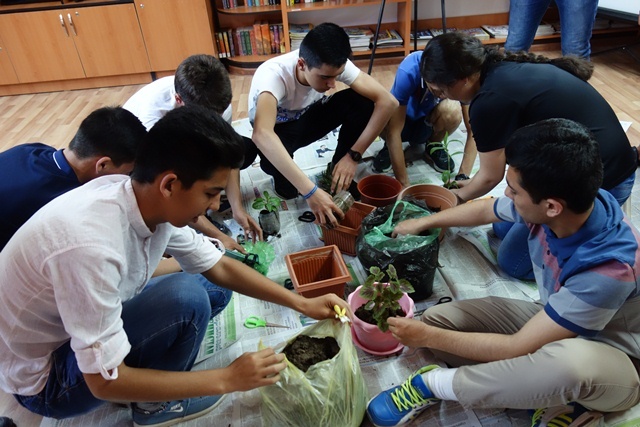 During a panel discussion, alumni shared how they volunteered during Earth Day and their impressions of how Americans work to protect the environment. 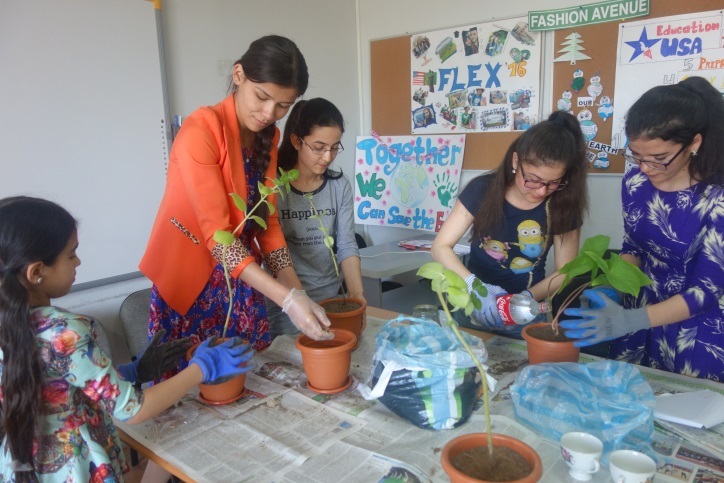 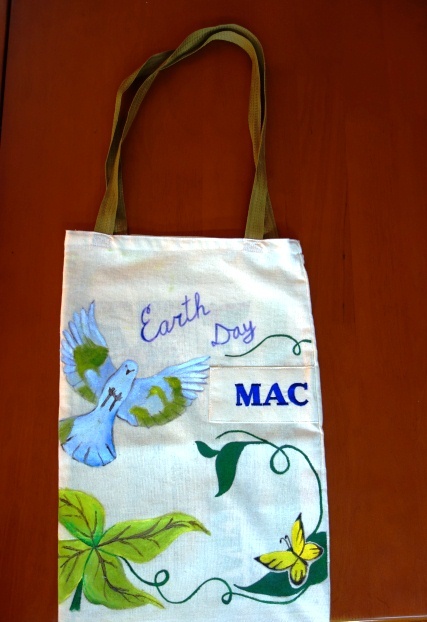 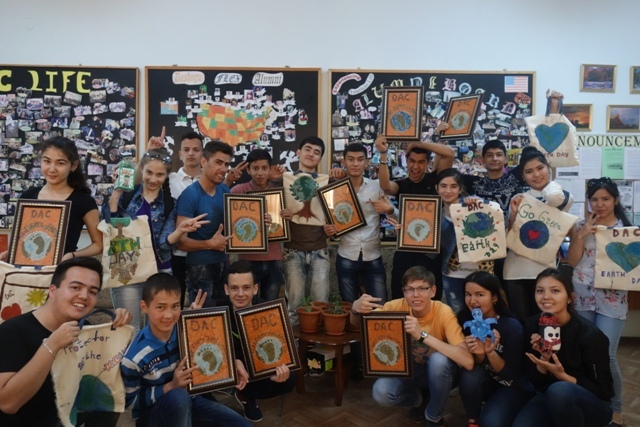 Following the 3Rs theme, participants designed and created eco-friendly bags and planted potted plants, creating Green Corners in all of the American Corners! 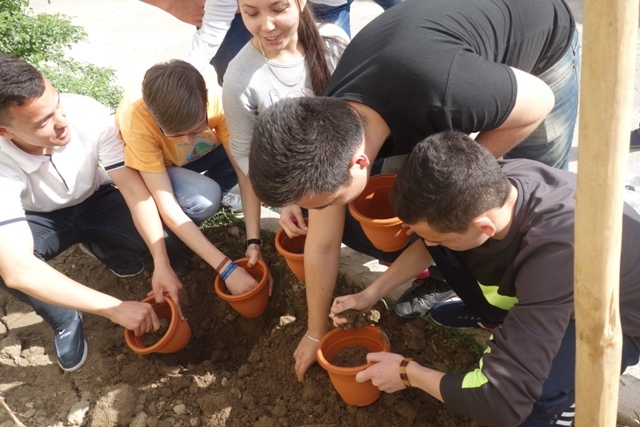 The event offered community members simple ways to make a positive impact on the environment and taught them how Americans are finding ways to improve their communities.